These parchment Rustic Pine Cone Lamp Shade have the look of hand made paper and features a bold hand painted pine cone design. 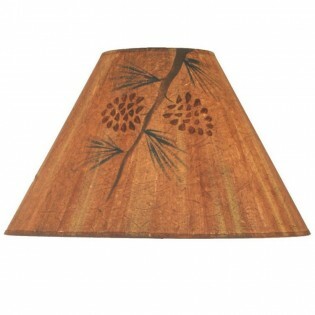 These parchment Rustic Pine Cone Lamp Shade have the look of hand made paper and features a bold hand painted pine cone design. Please allow approx. 7-10 days for shipping.